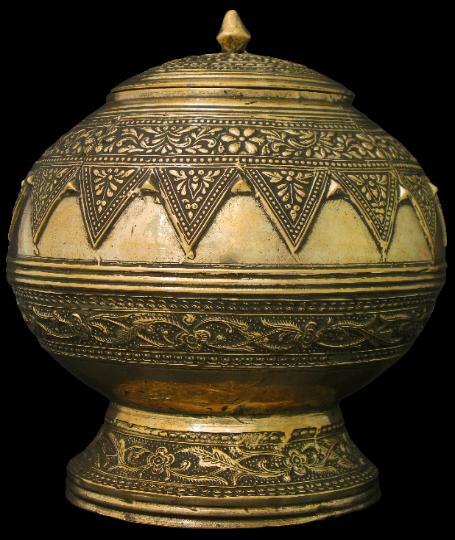 This globular brass container sits on a flared foot and has a small lid which fits into the top. 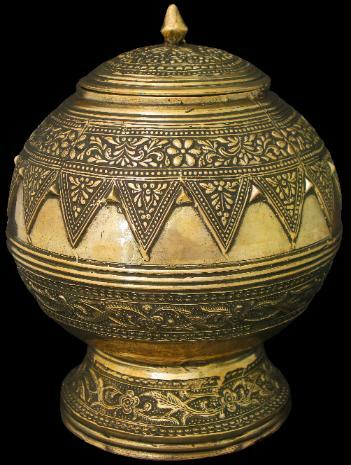 It is an excellent example of Malay or Minangkabau brass casting work, which invariably relied on the ‘lost wax’ (cire perdue) process. It is the shape and size of a coconut and probably was used to hold coconut oil, used in Malay cooking. 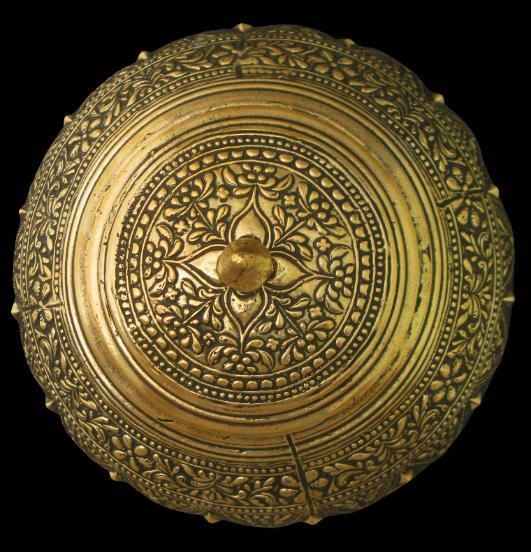 pucuk rebung) motifs – these being identifying characteristics of Malay brassware but which are also commonly used in Malay textile design and woodwork – encircles the upper half of the body. The lower part of the body and the foot are decorated with scrolling floral and foliage motifs. 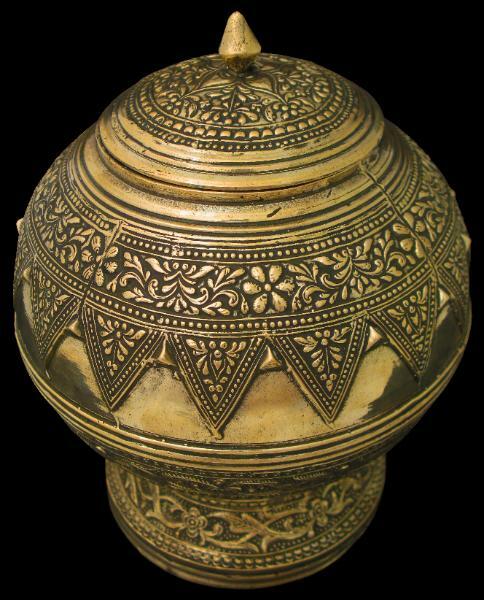 The lid is decorated with typically Malay motifs based on stylised flowers. It terminates with a solid-cast bud-like finial. Winstedt (1947, p. 173-4) observed that by the time of writing, the manufacture of bronze and brass items among the Malays had largely died out. Their place had been taken by imported objects. Winstedt, R., The Malays: A Cultural History, Routledge & Kegan Paul, 1947.